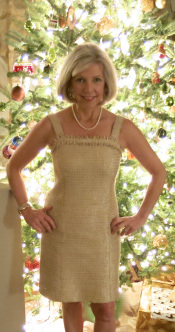 ← Golden Book Gown: Refashioning at it’s Finest! Open Casting Call for First Ever Refashion Runway! 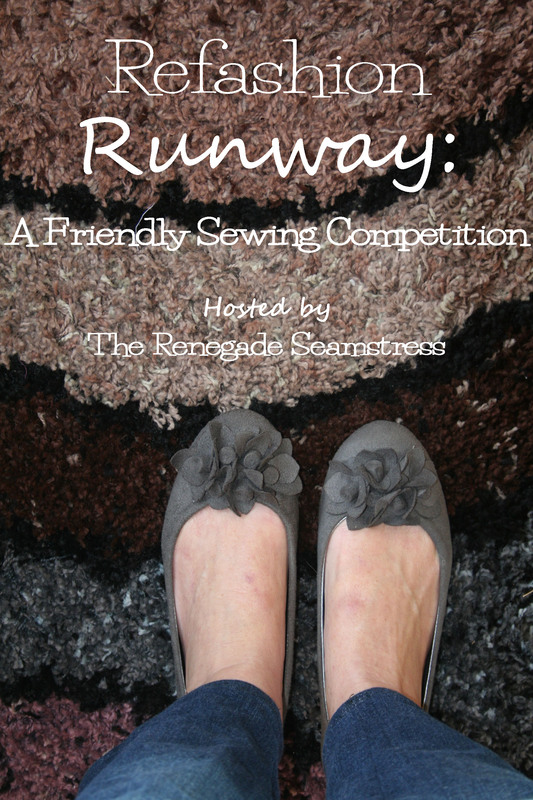 I’m excited to announce the first ever, Refashion Runway competition hosted by The Renegade Seamstress. Much like Project Runway and The Great British Sewing Bee, we’ll choose six refashion seamstresses (or seamster) to compete in weekly challenges. The refashions will then be scored by their fellow competitors and open to a popular vote. The scores will be combined to find a weekly winner and one competitor will be out (not without a prize for participating though). At the end of the series, whoever is left will not only receive a nice prize but will be crowned the winner of the First Ever Refashion Runway!! If you’re interested in participating as a competitor, please fill out this form explaining why you think you’d be perfect for this competition and send before and after photographs of two of your favorite refashions. Tryouts will be open until May 31, 2013. We will announce the contestants on June 1, 2013. The first challenge will begin on June 7, 2013. If you’re interested in sponsoring a prize, please contact me at bhunting@eoni.com. 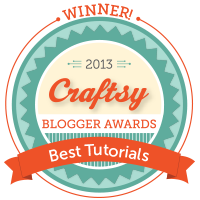 Prize sponsors will be given a link in each sidebar of The Renegade Seamstress throughout the competition. I’m so excited about hosting this friendly competition and I can’t wait to get started! This entry was posted in Uncategorized and tagged clothing, contest, DIY, fashion, reconstructed clothing, recycling, Refashion, Sewing, Thrifting, upcycling. Bookmark the permalink. 113 Responses to Open Casting Call for First Ever Refashion Runway! Yay! I was hoping you would! I have quiet a few refashions planned, so hopefully this would help me get back on track with them! This might be a stupid question, but is this an online competition? I’d love to be involved if it is. Yes, it’ll be hosted on my site. This is the first time I’ve hosted something like this. Did the form show up on the post? It did yes. This is the first competition I would be participating in though, and I’m new to blogging, so I was a little unsure. 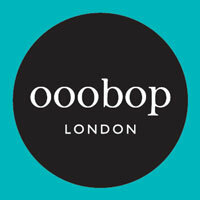 Thanks for hosting this, it sounds like a great way for refashionistas to get together and have a ball. I hope you will try out to be a contestant! I’m really excited about this as well. We’ll I’ll try out for sure, and I’ll remain hopeful about being a contestant. Regardless, I’ll make sure to follow the competition. Still thinking here… I would love to be a contestant, but have been having trouble handling my anxiety lately 😦 i’ll think some more… Ha! This is such a teaser! Oh, I do hope you will consider it. I’d love to have you participate. If you decide not to, I hope you’ll still be a part of the fun and vote. I’m really thorn between my wanting to participate in such a wonderful event, and the anxiety of the competition. If there were no competition involved i would gladly say yes within a heartbeat, but I fear i would be too emotionally involved 😦 Just talking about it with my husband gave me stomach ache and the jitter… So i’ll be wise even though it really makes me sad and not participate for this one. I’m working hard to get that anxiety under control, but it’s kind of difficult LOL. Still, can’t wait to see what all the participants are going to come off with 🙂 would you consider having a small spot for people that are not contestants but want to make up to the challenge? that could be fun too!!! just love to see how people are interpreting a theme! Lots of love! Oh yes, I was actually thinking about having a sew along and posting projects from non competitors and how they interpreted the theme. So now, after talking with you, I will FOR SURE do that! No more stomach aches….promise!! How nice of you!! i would be thrilled to be participating this way! love having a good challenge and work on more skills 🙂 just hope I’ll get over that anxiety someday and be able to do such competition to my heart content!! thanks Beth for hosting such a fun event! You are so very welcome. I’m really looking forward to seeing what everyone makes. Yes, a sew-along!!! That would be fantastic. I can’t wait to follow this competition! A great idea, quite an undertaking, and EXCITING! I will be voting! I knew I could count on you to be supportive of this new adventure! Thanks so much!!!! Even though I will be traveling in June, I am soooooo excited! I definitely will be watching. Great idea and Great Stitches & Seams to all who enter and compete! No pin sticks either! I loved that show, too. I can’t wait for the next season!! Beth, I think you need to trademark this idea. It’s that good. It’s easy to obtain a trademark. Research it online and apply today. Don’t delay! I checked out the trademark process, seems kind of complicated. Have you done it before? Do you have any tips for me? No, I haven’t, but my daughter has obtained multiple copyrights, and the process was quick and easy. Don’t know which would offer you more protection, a copyright or a trademark. Maybe check out the copyright process as well to see which suits you best. Thanks, Laura! I’m looking forward to it, too! I can’t wait to see your scarf! This is such a great idea! I’m in. Excited to see Zhenya is too. It’ll be fun. Yay!!! Yes, It’ll be so much fun!!!! 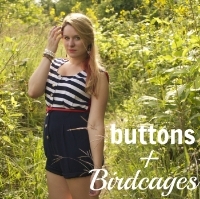 Thanks for posting about Refashion Runway on your blog!! I’ve got a favor to ask, would you change the name to The Renegade Seamstress instead of Chic Envelopements. I haven’t used that name for a long time. Thanks so much!! What fun! I’ll definitely be following and voting. I’m excited to get this started! So wierd…I’ve been thinking about this idea all week. 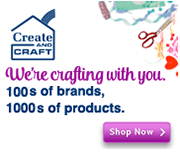 Have you been on Project Run and Play or their new website Project Sewn. They do the same thing but it is for the home sewer. I thought it would be awesome to do the same thing but do refashions. 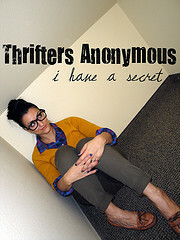 I do not have a blog so I don’t think I could participate but I can’t wait to look at all the great refashions. Are you doing a theme each week. I love what you do! I didn’t mention it on the post, but you don’t have to have a blog to participate. If you’d like to participate, please feel free to try out. Just send me a picture or two of some of your refashions. Yes, there will be a theme each week and prizes. Sounds like a terrific idea! I look forward to watching the festivities unfold! Thanks for supporting our new adventure! I’m looking forward to it, too! Hi Beth, how are we supposed to submit pictures? The before and after box in the form only has text input. Will you be able to email the pictures? I knew you had something fabulous in the works Beth! This is super exciting, and you know I’ll be right here for the ride. Lol. I am going to try my best to sew along too. This is sure to be a great experience! I was so hoping you’d sign up to be a competitor! Wasn’t sure I qualified since I’ve pretty much done only children’s refashions. 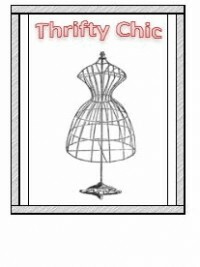 Do you want to branch out and try women’s clothes? I absolutely do, which is why I want to sew along. I’ll have to catch you guys next time as far as trying out for the comp goes. 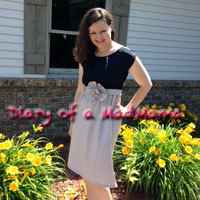 I have decided to make my matron of honor dress for my friends wedding in August (which might be quite the undertaking for me), so I better get on that before time gets away from me. I am so excited to follow along this go ’round. I hope you’re blogging about the dress. I’d love to see it! Depends on how it turns out. Lol! Fun! I can’t wait to see the creations. And I’m so happy you’re having a sew along for anyone who wants to jump in but doesn’t want to compete. Perfect! I’m so excited about all this! Thanks for the encouragement!! I’m interested in this! Let me see what awesome stuff I can stitch up this week!!! —- I’ve been refashioning forever but not very good at remembering before n after photos!!! But I have two questions—- first does this competition inude children’s clothes? (I do both children’s and adults so what ever works!) and second—- do you include refashions that include added new materials? Or do you want to keep it ALL upcycled materials? Thanks! All great questions! First of all, there will be a different challenge each week so I would hold off on making anything til you hear what the challenge is going to be. Not sure if there will be any children’s clothes, but possibly. And last, added materials will be up to you and depending on how you would interpret the challenge. Did you have a chance to fill out the form at the bottom of the post? I’m excited about all the interest this is getting. Should be fun!!! Let me know if you have more questions. Oops, I misunderstood, sorry :0 I see what you meant now. You can show any kind of refashion you’d like for the try outs. I’m really looking forward to seeing what you make. I can show you some more stuff if youd like…. I really like this, too! Great idea! 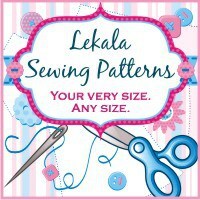 And I like the sew along for those who don’t make the cut or who have less time or confidence. I really hope you’ll join in on the fun! I’ll be voting for sure, but I’m too slow to finish things to compete. I got one from Mariana. Is that you? WOW! I really would like to join. Hope and pray I could catch up. I still have lots to do in the office, but I’m willing to do overtime. Hmm….thank you so much Ms. Beth for helping us out of our shell. 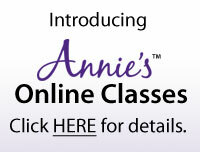 This brilliant idea of yours will really help improve everyone’s talent and skill. More power! 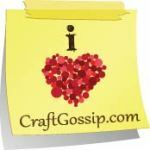 I really hope you’ll try out or at least join in on the Sew Along. Feel free to email them to me at bhunting@eoni.com or if you have a website, just put in some links. Thanks! Oh good, I’m glad you’ll be voting for your favorite designs! I just posted the competitors today. There was such a good response to the casting call so it looks like there will be a second season. Maybe it will work out for you to audition for next time. I will be watching and sewing along! I’ve often thought that Project Runway should try refashions – this is such a great idea!!!! Sounds like fun! How many weeks will the competition run? If you have a past refashion that fits into the theme of the week, could you submit that? Or, do they have to be new, “unblogged” refashions? BTW, love your refashions! The competition will be four weeks with four different challenges. 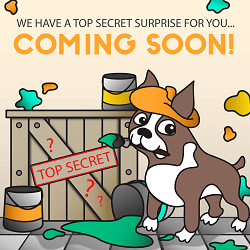 The challenges will all be announced at the beginning so everyone will know what to look for when thrifting or cleaning out their closets. I think for the sake of challenging ourselves to make new things, the refashion should be an unblogged refashion with before and after pictures of course. Thanks for your support in this new adventure!!! I’m so glad you did!!! refashion and up cycling unwanted clothes into another purpose is becoming more popular in todays lifestyles…more people need to know how simple it all can be! This is going to be fun and a great beginning for some, THANKS for hosting such an event. This is a truly awesome idea! I am in! Tho had some issues submitting things on the form. Let me know if there are any problems. It was supposed to be 2 links to my favorite refashions. They came through just fine. Thanks, Lauren!!! Ok…how do I attach the pics? Maybe I can’t do it from my phone?? Go ahead and send them to my email. Sounds like a lot of fun! Thanks for hosting this. I would love to participate. I’m so glad you tried out, Barbara!!! Congratulations on your retirement!!! How many refashion outfits would we have to do when we enter? We would just like to see two before and afters when you try out. If you’re chosen to compete, there will be four different refashion challenges during the competition. Thanks for your interest. I hope you will be voting and possibly even sewing along! Hi Lenore! Welcome to the Renegade Seamstress. Sounds like refashioning will be perfect for you!! !